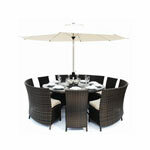 The new Open Weave range of Rattan Garden Furniture by Mazerattan is a sleek, stylish and practical range to have. 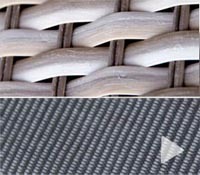 With its unique weaving construction, it offers the illusions of more space but it also allows for surrounding colours to come through as well. 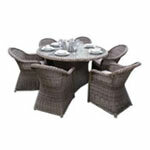 Open Weave Rattan will be showing up more often in many popular ranges. 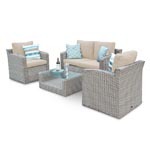 Add the wow factor to your garden this summer and be the envy of your friends and neighbours with this gorgeous range of rattan garden furniture from the new Mazerattan Open Weave Collection. 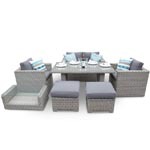 The Open Weave 5piece Cube Set by Mazerattan is a new design for 2013 offering something unique and different from the normal rattan garden furniture that you see on the market. 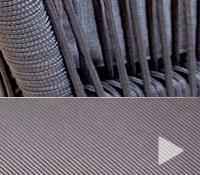 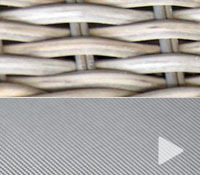 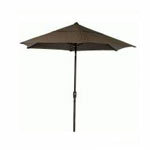 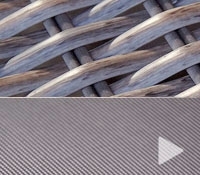 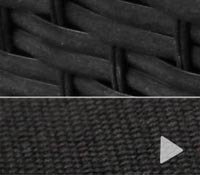 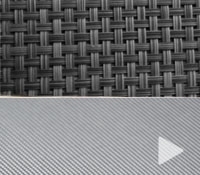 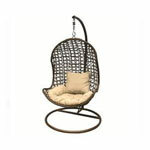 This is unique because of the open weave rattan design. 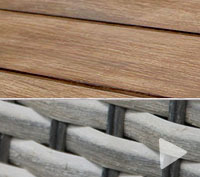 Instead of a tight close together weave, the weave has been spaced out to give a whole new perspective bringing more of the surrounding colour of your garden through the furniture. 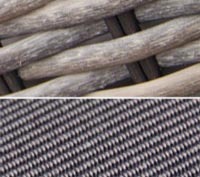 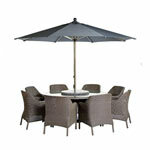 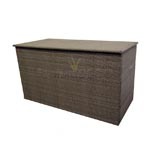 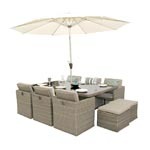 Made from all weather resistant PU Rattan hand woven around an aluminium frame work which will give you long lasting quality that will last for many years to come. 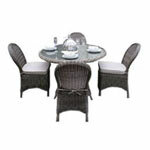 The Open Weave LA Style Round Dining Set by Mazerattan is part of the open weave rattan furniture collection and offers a new and unique style into the rattan dining furniture market. 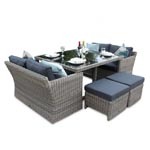 This is similar to the classic Rattan LA Dining Furniture range but offers a new modern look to spruce up your dining area be it indoors or outdoors. 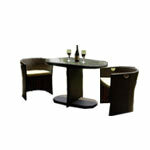 This set will look stunning anywhere you put it. 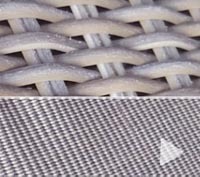 The open weave design allows for more of the surrounds natural colouring and lighting to shine on through which also gives the illusion of space. 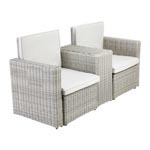 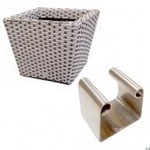 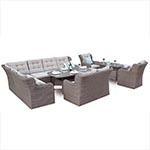 Made from all weather PU Rattan hand woven around an aluminium frame to ensure a long lasting rattan furniture set to be used for years to come. 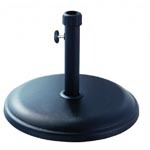 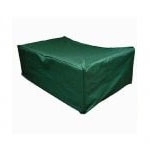 Includes thick comfortable cushions that are zippable and washable. 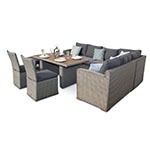 The Open Weave LA Style Rectangular Dining Set by Mazerattan is part of the open weave rattan furniture collection and offers a new and unique style into the rattan dining furniture market. 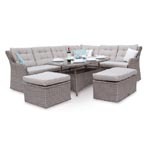 The Open Weave Rattan Sofa Set by Mazerattan is a brand new stylish and unique design that will set you apart from your neighbours. 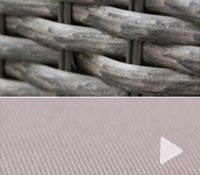 Add some spark into your garden this year by purchasing furniture from the Open Weave Collection that will surpass and inspire your creativity. 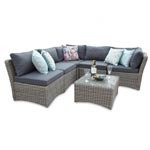 Made from all weather resistant PU Rattan hand woven around an aluminium frame to ensure a long lasting rattan garden furniture set that will stand the test of time. 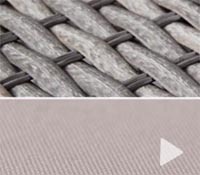 The Open Weave Barcelona Corner Group by Mazerattan brings the ever popular Barcelona Corner group into the stylish Open Weave design to offer even more talking points to show off when your guests come over. 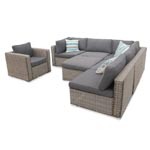 The open weave design rattan garden furniture is a new collection that not only is a comfortable rattan corner sofa set but can double up as a daybed whereby the Ottoman has been shaped to fit snugly to make a more intimate seating solution when needed. 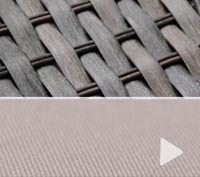 The Open Weave Sun Lounger Set by Mazerattan is expanding on the open weave collection offering you more style and the ability to expand on your rattan garden furniture area. 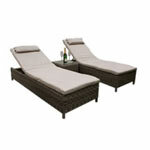 Add a pair of sun loungers to complement your rattan sofa or your rattan dining set. 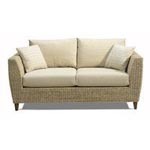 With the reclining back rest being adjustable so that you can get comfortable. 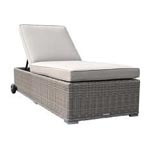 This rattan sun lounger set is made of all weather rattan hand woven around an aluminium frame to ensure a long lasting rattan furniture set so that you can have many years of usage.